Aptus Utilities has the expertise, resources and equipment to manage all your project’s water requirements, ensuring the highest standards of quality and hygiene. Aptus Utilities provides a comprehensive package of Water Services which includes consultation and design, construction, installation, swabbing, hydrostatic pressure testing, chlorination and sampling. 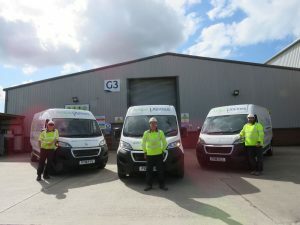 We have a dedicated in-house team of technicians utilising top-of-the-range purpose built vehicles and equipment to manage the safe, timely and cost effective delivery of water services for clients across the UK. 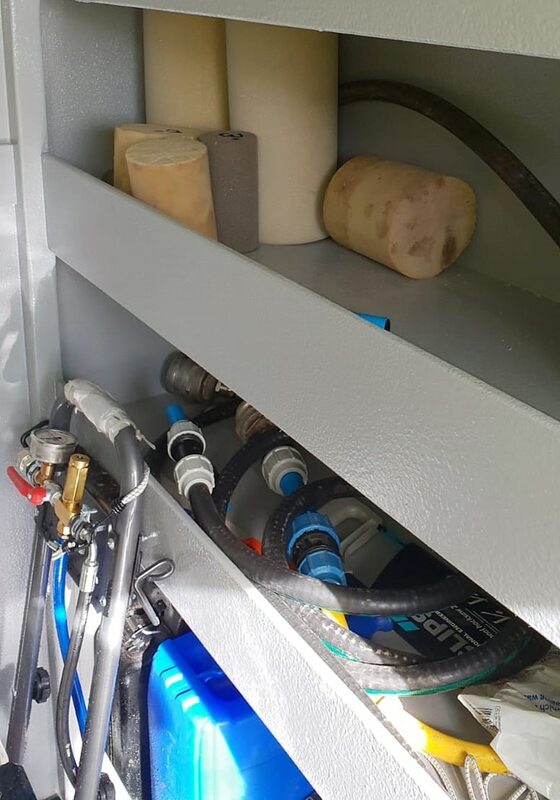 It is an industry requirement to test newly built water networks (pre-commissioning) for working pressure integrity and to ensure that pipes are safe to carry potable drinking water. 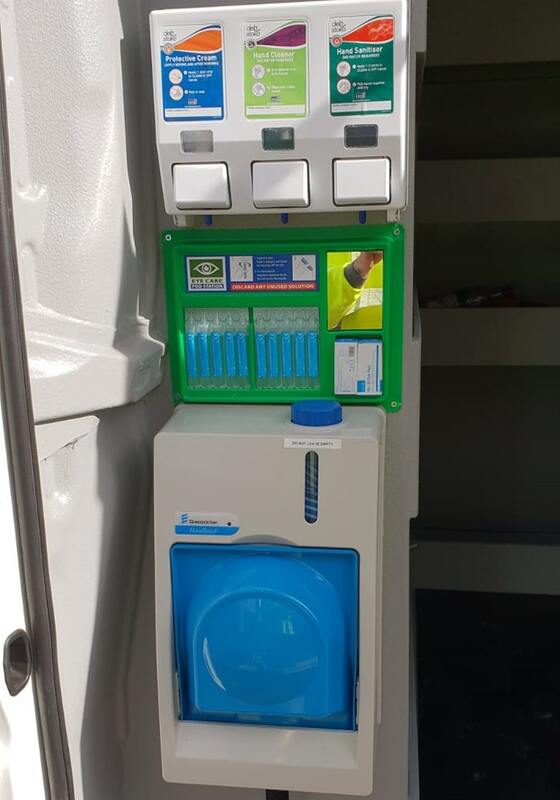 Our new state-of-the-art vans are fully equipped to carry out hydrostatic pressure testing and chlorination in order to fulfil these requirements. Once the requisite standard of hygiene has been determined, Aptus will commission the network ready for adoption by the network operator. 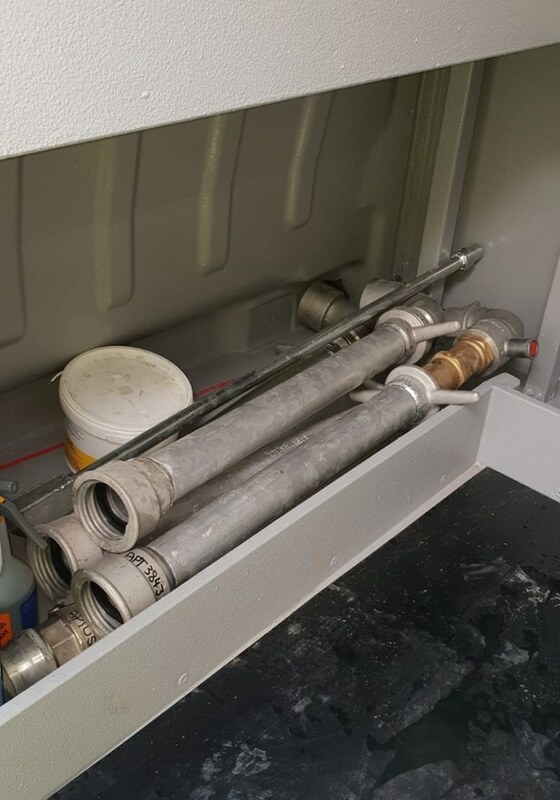 We provide this specialist chlorination service as part of our whole-package approach, saving our clients time and effort and helping to keep costs to a minimum. 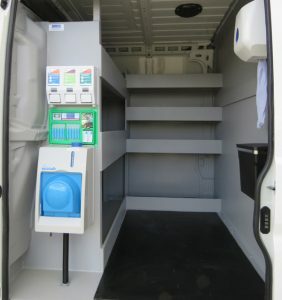 In order to meet the highest possible levels of hygiene our vans are divided into two compartments. 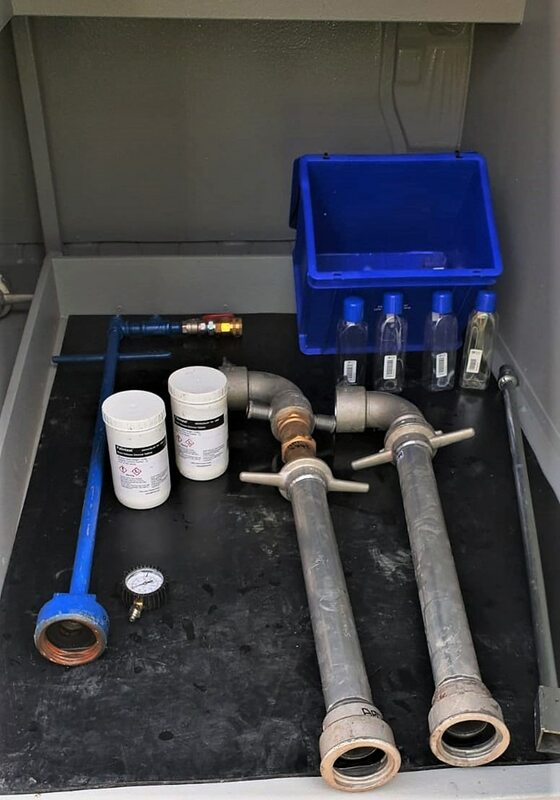 This is to separate sterile chlorination equipment from any potential contaminants associated with the test pumps, fuel and hand digging tools that we also carry. 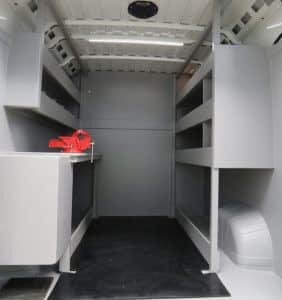 The vans have been internally lined with a polymer coating to facilitate deep cleansing of all surfaces and are equipped with hand cleansing sanitation dispensers and floor sump drains to further aid cleanliness. We are authorised and equipped to complete hydrostatic testing and mains disinfection and sampling throughout the UK. Our pressure testing equipment allows us to view tests in live time and same day reports can be supplied. As a business we have eight years’ experience working with water companies across the UK, including United Utilities, Northumbria Water, Hartlepool Water, Yorkshire Water, Severn Trent, Dee Severn, South Staffordshire, South West Water and Anglia Water. Our technicians are EUSR accredited in Mains Hygiene, SHEA Water, Hydrostatic Testing and Chlorination and Sampling procedures. 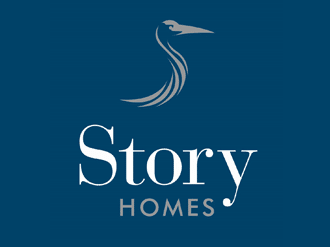 Our clients include all national house builders across the UK as well as regional and local developers. We also work with I&C developments and private water networks. We have worked with many of our clients over a number of years on projects throughout the North West, North East, and most recently in the Midlands. package for clients or as a single utility. Visit www.aptusutilities.co.uk to find out about our full range of services.